Reducing your businesses expenses is one of the three central ways to increase your company’s profitability. The larger the difference between your revenue and your expenses, whether you achieve that through increasing the revenue or decreasing the expense, the better your business. If you own a small business and you’re still experimenting with different product lines, then using a reliable manufacturing service instead of investing the costs of renting the machinery, hiring additional employees, and training on the tools is less expensive in terms of both time and money. You can also predict future expenses based on the manufacturing process and number of units. Access a wider array of tools. Different products need different manufacturing processes based on their materials and degree of complexity. If you can deepen your customer base and reach out to new target markets by widening your range of products, then acquiring the tools yourself could be prohibitively expensive. Using third-party manufacturing to both test out new products and expand your business at a faster rate can also increase your volume which reduces your per-unit costs. Companies branch out to other service providers because it gives them more time and resources to focus on their core business offering. 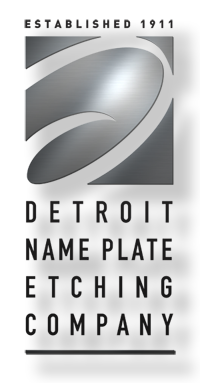 Go to Detroit Name Plate Etching to do the same.